“Money Doesn’t Make The Man” is another great Christian metal manifesto. 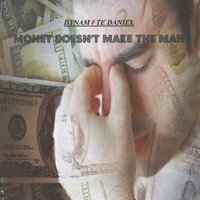 God's word is spoken again in song as Dynamite Daniel unleashes six powerful tracks that focus on the love of money being the root of all evil. Choose to serve God or mammon! “Money Doesn’t Make The Man” is the perfect follow-up record after “Waging War.” Though the record has fewer track listings, the content of the record is just as strong as its predecessor. Dynamite Daniel focuses on the scriptures in the Holy Bible, Mathew 6:24 and I Timothy 6:10, as he explains how the love of money is the root of all evil and that we must choose to serve God or mammon in all six powerful tracks. The record gives a punch of alternative and punk rock energy with “Matthew 6:24,” “Money Doesn’t Make The Man,” and “Government Spending” and gives an aggressive kick of heavy metal with “No Conviction,” “False Prophets,” and “Greed (Change Our Hearts).” “Money Doesn’t Make The Man” is an enjoying and insightful record to listen to. All glory goes to God for the brilliant and creative delivery of this Christian metal manifesto of an album.